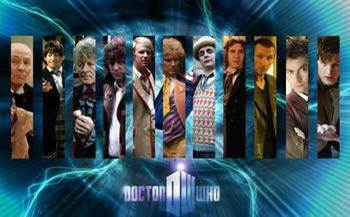 Chris Olson and I kick off the In Media Res theme week to celebrate the 50th anniversary of Doctor Who. This piece, with a wonderful video produced by Chris, is based on the conference paper we recently presented at MPCA. You can see the post and the video via “I AM the Doctor”: Polysemic rhetoric and non-traditional audiences in Doctor Who | In Media Res. Tune in all week at IMR to see what other scholars and fans have to say about the cultural impact and legacy of The Doctor.